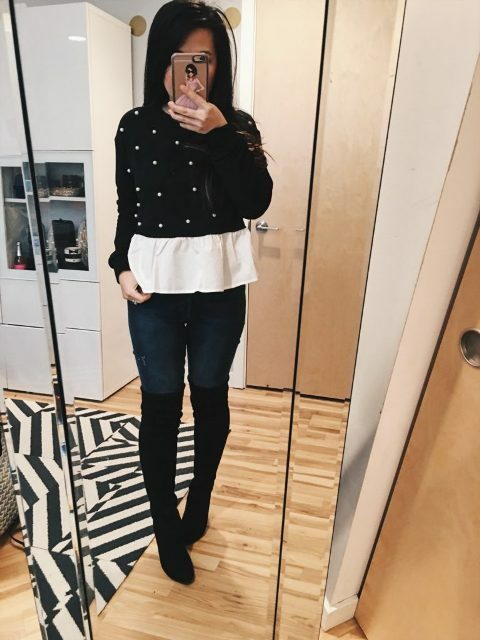 A sweater is a casual piece of clothes, but if you add pearls (or any decor elements) to it, you will get an elegant and chic item, for sure. That’s why today I want to focus on pearl sweaters and ways how you can combine them with other clothes, accessories and shoes. You can pick up any colored sweater you want, but the most popular are gray, beige and black ones. 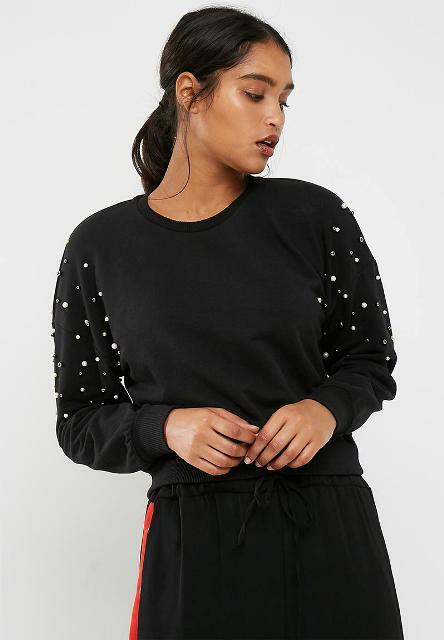 Of course, you can create a casual winter looks with such sweaters, but you can also make sporty chic ones just adding sporty pants with stripes to a sweater or a New Year event outfit with a ruffled sweater and a mini skirt. Now I offer you to take a look at pics below and consider all ideas that we have collected for you. Get inspired! If you want to create something eye-catching, then you should take a blue sweater with big white pearls and combine it with distressed cuffed jeans, blue suede pumps and a blue leather clutch. Or you can choose a pale pink pearl sweater with ruffled sleeves and mix it with white skinny pants and a patent leather clutch. Wanna make a simple and comfy outfit? Then you can pair a gray pearl loose sweater with skinny jeans, black suede over the knee boots, a fur pom pom hat and a beige leather bag. 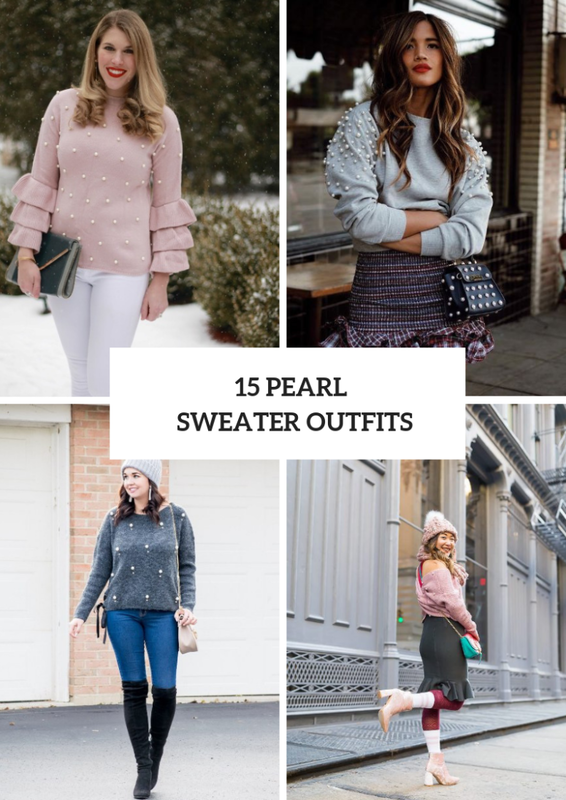 If you are a big fan of colorful clothes combinations, then you can try to repeat one with an pale pink one shoulder pearl sweater, a gray ruffled knee-length skirt, marsala tights, a pale pink beanie hat, a colorful chain strap bag, white socks and pale pink velvet heeled ankle boots. 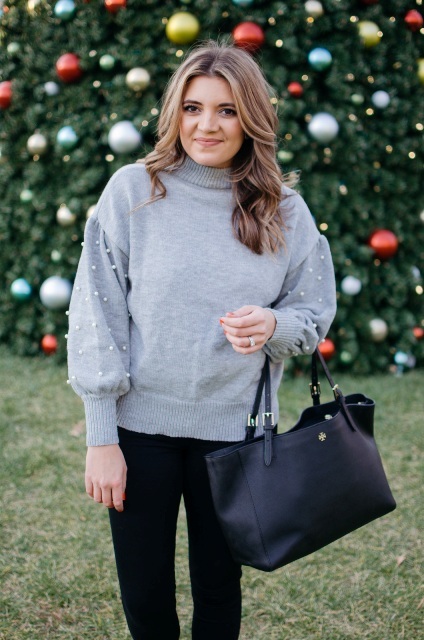 For making a more elegant look you can mix a gray pearl sweater with a black cap, a black leather mini skirt, black tights, boots and a marsala bag.